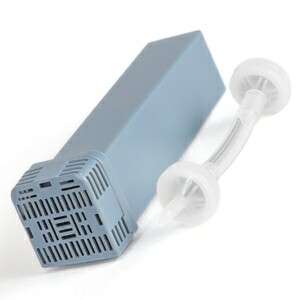 Chinstraps are often used by CPAP & BiPAP users to help keep the mouth closed during therapy. Chinstraps can help solve problems with mouth breathing and mouth leak and thus can encourage therapy compliance and better overall therapy results. The Deluxe Chinstrap's adjustable design makes it easy to size for almost all users. It will generally cover part of the ears during use and can be warmer than other chinstraps. I’ve had so much trouble finding a good chin strap. Constant loosening and dry mouth. No CPAP equipment is “attractive,” but this really does the job! Super velcro that really holds! This simple elastic band type chinstrap works best for me to prevent leakage in combination with my OptiLife Nasal Pillow mask. Put a stop to chin drop and snoring. This strap is great. Can you send me a reminder to reorder anoth strap in 3 months? this is the only chin strap I found to work for me. Yes, I did order the smaller size because all others were too big. Yes, it can become uncomfortable. Depending how much I move around. It presses on the lower ears and causes a little bit of painful area. 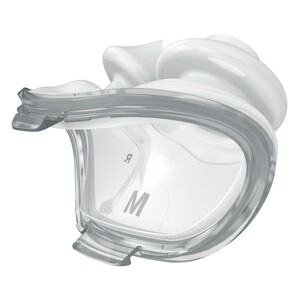 I found that I have to adjust my cpap full face mask due to leaking to accommodate the added thickness of this one compared to others. However, the others didn't work and this does!! I have been wakng up 8 or 9 times a night with extremely dry mouth. Since using the chin strap, i have been sleeping thru the night. YAY! The strap does well to keep the mouth shut all night. It stays in place throughout. Be sure not to pull too tight as it is not necessary and will reduce bed head marks. I have to be sure to locate far enough forward to not put pressure on my ears. Otherwise they will hurt a bit in the morning. I have small ears. So someone with bigger ears will have to take even more care. It doesn't seem to help me as much as I want like it to. And it's a little too big for me. This chin strap is very comfortable. It's made of a soft material over the elastic and it's wide enough to keep my cheeks from blowing out when I'm unconscious. I put if over my ears and I thought the decrease in hearing might be a problem but the knit of the strap is loose enough that there's little loss of hearing. I use a full face mask and this strap fits under my chin instead of on my chin so the mask is not disturbed by the strap. I have been using this chin strap for almost five years. But in the past year the same product has become less durable: its elastic strength is noticeably weaker with the result that I am going to be fortunate to get two months use out of it. In the past I have been able to use it for six months or more. I will no longer be purchasing this product. I am a mouth breather. I was using a full face mask but could never get a good seal. I switched to a nose mask but was concerned about my mouth breathing. The chinstrap enables me to keep my mouth closed when using the nose mask. I find the water reservoir almost dry every morning while I had a sizable amount of water left using the face mask. The nose mask is working properly, thanks in part to the chinstrap. Works very good. Stays in place all night. Only down side is its a little to wide. This is the BEST chin strap I've ever purchased. Causes the mask to leak. Wife hates it I had to go back to old chin strap. This is the best chin strap I have ever owned. I been using CPAP for over 15 years and this one is the most comfortable. Holds my mouth closed well. Not as cumbersome as other chin straps I have used in the past. I found the "Deluxe Style Chinstrap" to be a great fit for my head size and shape. It does cover my ears completely but this is not uncomfortable as it is made of a soft material. The fact that it completely cradles the chin makes it very effective for keeping my mouth closed while I sleep. The chin straps arrived as promised. The quality was as anticipated and am now using one. The strap is wide enough to support the chin without sliding off of the top of my head. Essentially, the strap stays where I put it at night and remains in the same location on my head when I wake in the morning. Best strap I have had in using CPAP for 17 years. I love the chin strap but had to cut it lengthwise in half. It is so wide that it comvered my mouth. Now I like it. The best chin strap I have had yet, including others from AG Industries. 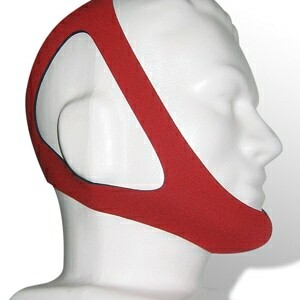 I ordered this chin strap because of its adjustability. It works very well for me, helping me keep my mouth closed over a dental sleep apnea appliance. It stays in place all night. tried others straps but this one is strong enough to hold my mouth shut while sleeping. handwash and use softener then let dry. if there were another design I would try adding a soft rubbery inner. but not sure if that would feel better but something to try. I have tried other chinstraps, but they weren't comfortable and didn't keep my mouth shut unless I made it very tight. 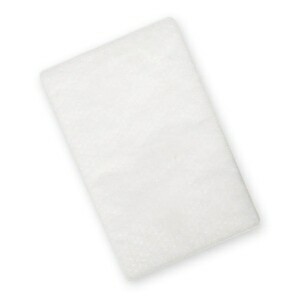 This chinstrap is soft and comfortable and wide so it holds the jaw closed. I like to have two so when I wash one (in the washing machine) I always have the other available. For eight years I have been in search of a chinstrap that is comfortable and would not leave marks on my face. I've now found one. 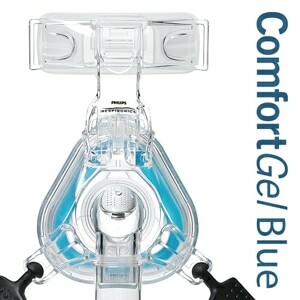 The Deluxe Chinstrap for CPAP &BiPap Therapy is the most comfortable chinstrap I've owned. The Best part. No marks on my face in the morning.